The Thinspiration iPhone? Is Design Anorexia the only way we have to feel good about our gadgets? 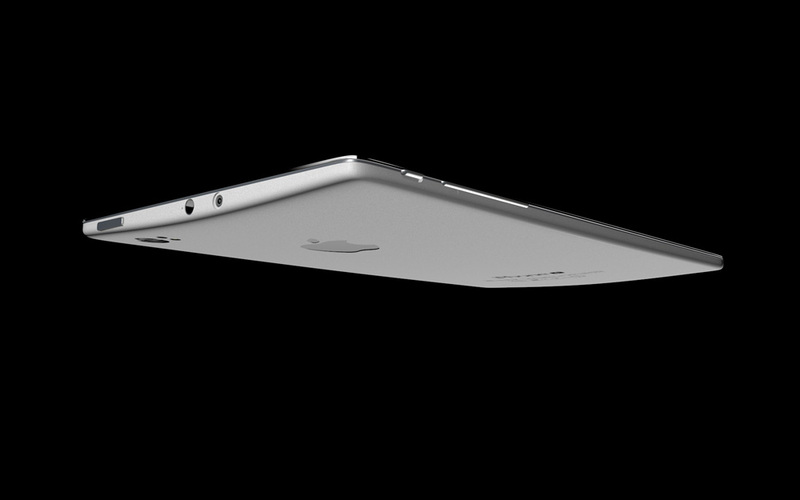 More power, longer battery life and bigger display and a pico-projector in a slimmer body? Sure! Sadly though, some early “rumors” already have the iPhone 4/4S form factor not changing too much for the iPhone 5. Still too soon to tell, but one would think more hard evidence (parts/case leaks) of a total redesign would have surfaced by now. It’s been fairly quiet — same as last year’s 4S ramp up. 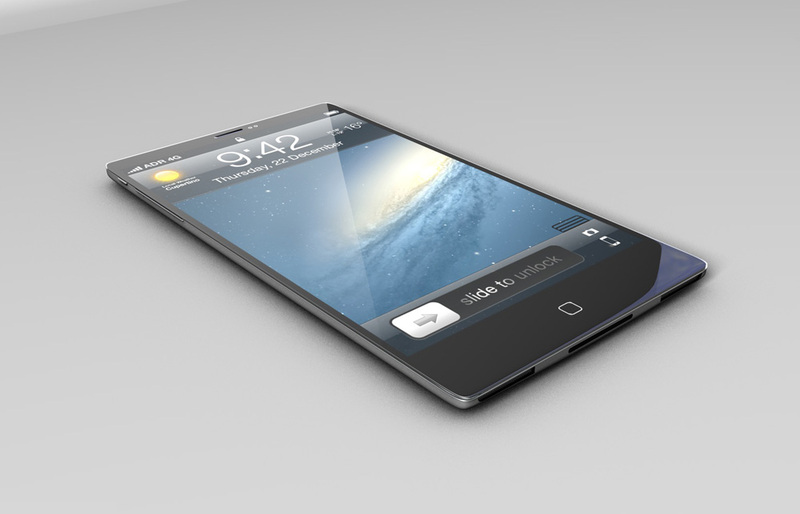 Hope that’s not the case with the 5 as well because if it looks anything like this mock-up, I’m in. meh. There are reasons I enjoy the ios/iPhone platform – simplicity, minimalism and a strong, cohesive design language across product lines. This concept throws all of that away in favor of something looking more like an Android phone. Widgets on the home screen? Stop it. 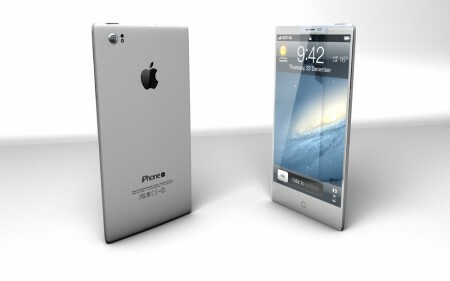 hmmm…i have seen another concept that i thought was more in line with apple’s oeuvre and it was nicer. i am not a fan of the 4s body at all, i think the way they have designed the curved body of the macbook’s is more elegant, the boxy parts are clunky. that said i would still take one of these. also, where does this guy find the time to do these mock ups?! ps: i have been waiting forever to see apple implement edge to edge screens, hope to see this soon! I’m looking forward to an even better camera than it has now. I still have an iPhone4, and I’m kind of teetering on wanting a new, small, high quality point and shoot for times I need something a little more than my iPhone and don’t have my D90 with me. I also wish the images above had some context to them. For some reason those phones look huge, probably because there’s not something of typical size in the photo. I think the pico-projector is a little far-fetched… maybe some day. I don’t care how fancy it is, if it’s locked to iTunes I’m not interested. 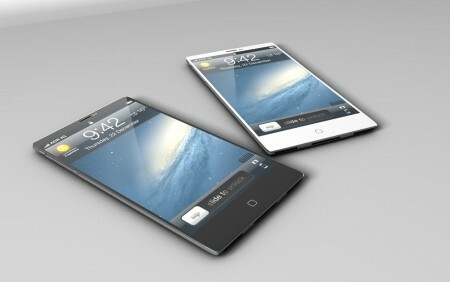 This isn’t from Apple, so it really isn’t a “rumor” for the phone. Apple doesn’t release things even to the employees. This phone looks like a lot of other phones and would be an ugly Apple design. It looks huge and thin and will break quick, fast, and in a hurry. I know that’s what I was trying to say. 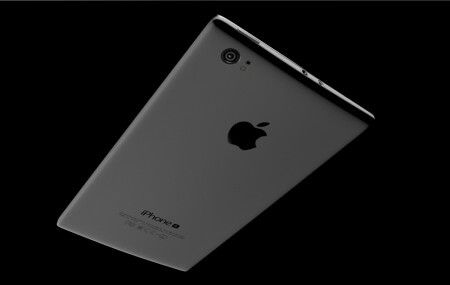 I think it will be marginally thinner than the 4s, any thinner would be dangerous. The silver-colored one looks so much better than the black or white versions. I’m surprised apple hasn’t taken inspiration from the aluminum/black style from their imac/macbook line yet. Love the metal finish, especially seen here. Don’t care about the thin-ness. Would rather have a battery that lasts for days and is thicker. I hope this is it! Looks nice and features sound about right. The Pico projector can be omitted though since those things are garbage. Second the comment(s) that it’s a bit Android-ish and probably not physically possible, but interesting design nonetheless. The projector is a nice feature.